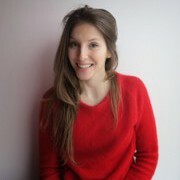 Hello, My name is Charlotte Aeschbacher, I am a Swiss actress and have been in London for two years. My mother tongue is french and have taught french, english and music for 2 years in primary schools in Switzerland. I am friendly, patient and responsible and would love to help students to succeed. I am very flexible with timetable. We will find entertaining and personalized ways to learn and achieve the goals we set together at the beginning. Looking forward to hearing from you. I have been tutoring in my home country for more than 5 years in Switzerland, mostly in English, French, Maths and Music. I also have been teaching in primary schools for two years, mostly 12-15 years old children in French, English and Music.